Aarti Pooja Deepak (Ek Mukhi Diya) is a one-faced diya made of brass. 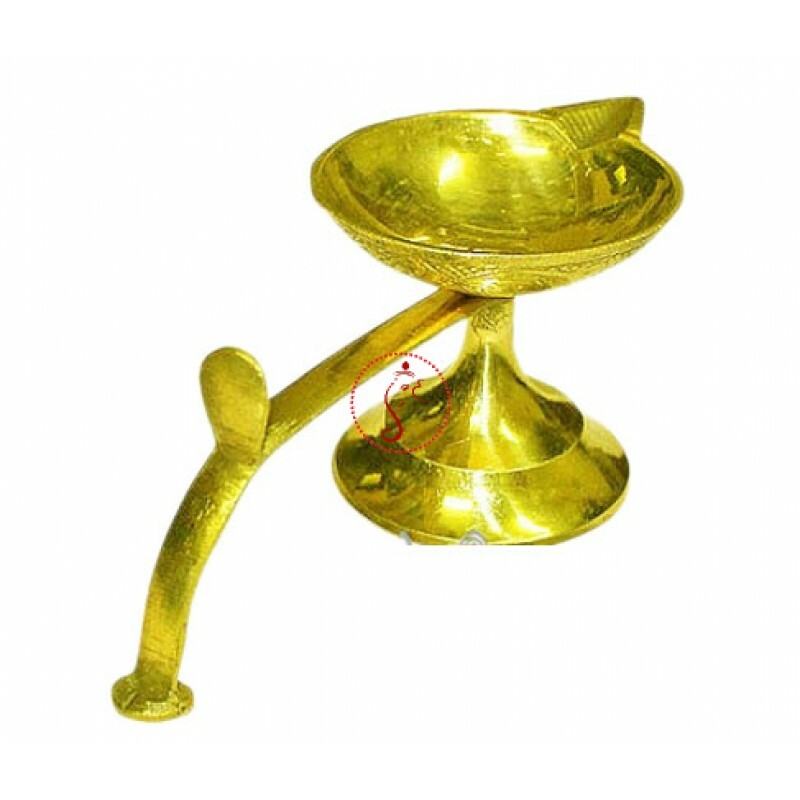 This diya is ideal for pooja in home or offices for daily use. 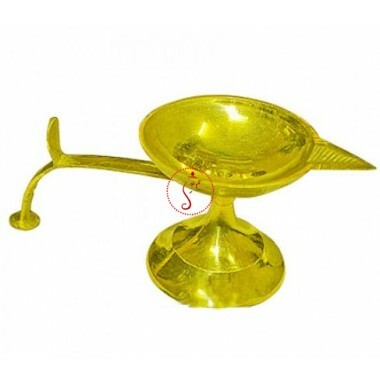 This diya used both long or round cotton wicks immersed in pure ghee or oil for lighting. It is long-lasting, durable and easy to clean and maintain. Dimensions: It comes in various combinations of height, base width and weight. Devotees light diya or lamp or deepak during pooja and worship at home, shops, offices and ceremonies and also during aartis. 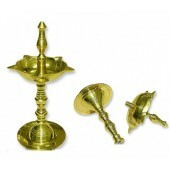 It is one versatile diya, which is a part of every household. 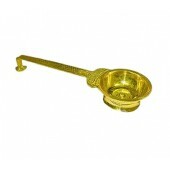 It’s main use is during morning and evening prayers (prabhati and sandhya). 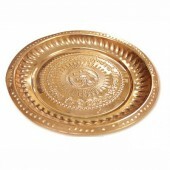 The worshipper lights this diya every morning and evening in front of the deity as a respect. 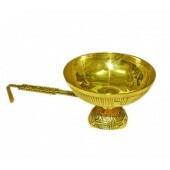 It is also used during kathas (recitation of stories) and aartis. Lighting diya during aartis is considered auspicious and brings prosperity to the worshipper. Brass is a fire-oriented metal that exhibits projected energy. It is a popular in healing, wisdom and often used for prosperity and protection spells. North: For success in all ventures undertaken. Most preferable direction to place and lighting a lamp. East: For good health and peace of mind. West: For freedom from debts and victory over enemies. South: Never light a lamp in the south direction. It is considered inauspicious.